It’s no secret that we are proud to call the Ocean State our home. We are often asked by customers and those in the community what has kept us here for over 50 years. Our answer is simple: Rhode Island itself. Our state is filled with unmatched natural beauty, be it along the shores of Narragansett Bay, throughout historic villages along the Blackstone and Pawtuxet Rivers, and in the renaissance city that is Providence. It also has historic beauty in the form of colonial architecture and structures that span hundreds of years. With that classic beauty comes age, which requires maintenance and updates, and Custom Built is thrilled to have been able to partner with the following businesses and organizations and deliver storm window products that preserve the historical beauty and integrity of these buildings across the state. 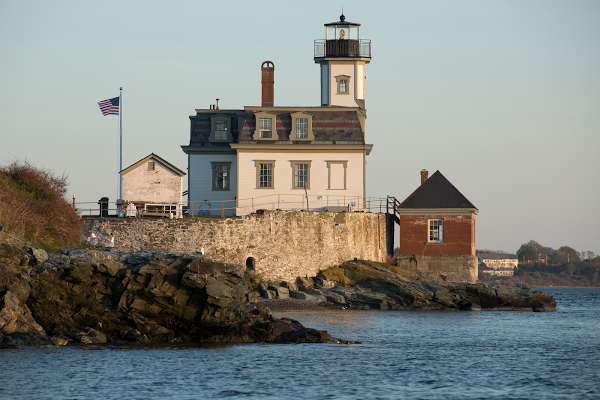 The Rose Island Lighthouse sits a mile off the coast of Newport in Narragansett Bay. In 1993, the lighthouse underwent a massive restoration to revive it’s classic 1912 appearance and relight its beacon. Since then, it has become a hands-on learning environment where visitors can work, stay, and experience what life was once like for the lighthouse keeper. To get involved with the Rose Island Lighthouse Foundation or to plan a visit to the lighthouse, visit here. 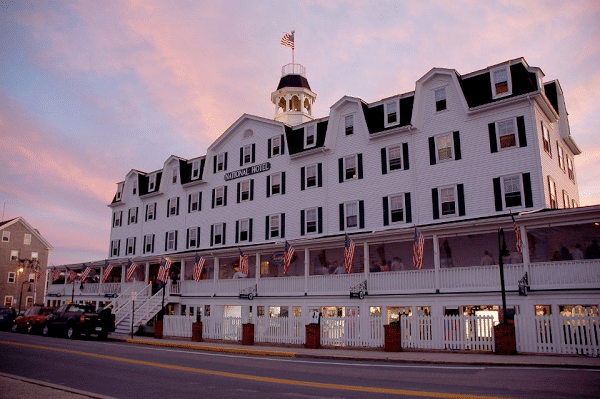 The picturesque town of East Greenwich is home to many beautiful examples of coastal New England architecture, and its Town Hall is definitely worth seeing. Built as the second Kent County Courthouse in 1804, it is one of five original state houses used by the Rhode Island General Assembly’s once-rotating legislature. To learn more about the building’s rich history and other significant historic markers in East Greenwich, visit here. This residence was once home to one of the oldest and wealthiest families in Rhode Island. 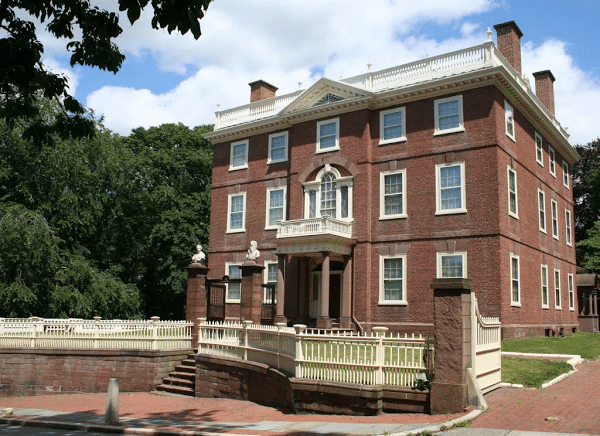 Located on Providence’s historic East Side, the John Brown House now serves as the centerpiece of the Rhode Island Historical Society’s properties as a museum that seeks to preserve the rich history of Colonial America, early days of merchant trade, and the intrigue surrounding the founder of Brown University. Visitors can enjoy year-round educational events and experience up close a unique piece of Ocean State history while taking in a piece of Colonial American architecture. Located just off Newport’s grand Bellevue Avenue, this campus building is the product of an extensive renovation project that fused together two beautiful 19th century carriage houses from Chateau-sur-Mer and Ochre Court. The result is Salve Regina’s Antone Academic Center for Culture and the Arts. It’s a beautiful piece of Gilded Age architecture that is worth catching a glimpse of on your way to the Cliff Walk. 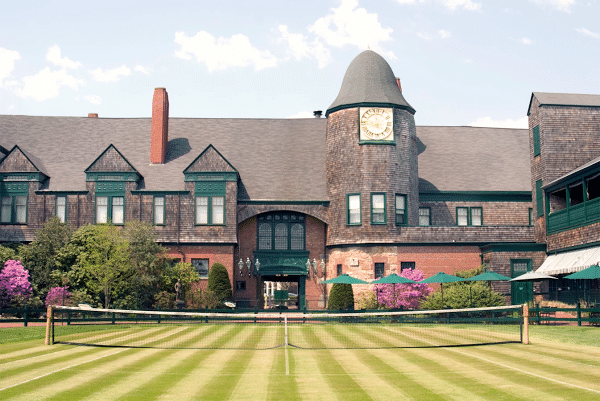 Located in the Victorian shingle-style Newport Casino, the International Tennis Hall of Fame houses the largest collection of tennis artifacts and memorabilia, and hosts revolving exhibitions highlighting tennis players and historical events. Its outdoor grass courts host the annual Tennis Hall of Fame Championship, the only grass court event in the North America on the men’s ATP Tour. What was once an exclusive resort in the late Nineteenth Century is now a special piece of Rhode Island history, open for all to enjoy. 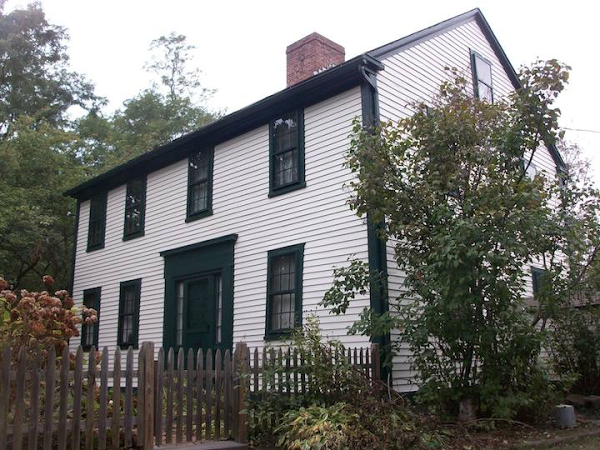 The home of the Warwick Historical Society, the Arnold House was built in the 1780s and is filled with an extensive collection of period artifacts and furniture that tell of family and regional history. Renovated in 2014, the house and museum serve to give visitors a view into life in 18th century rural Rhode Island. Tucked away in suburban Warwick, this is a beautiful example of the classic New England farmhouse. 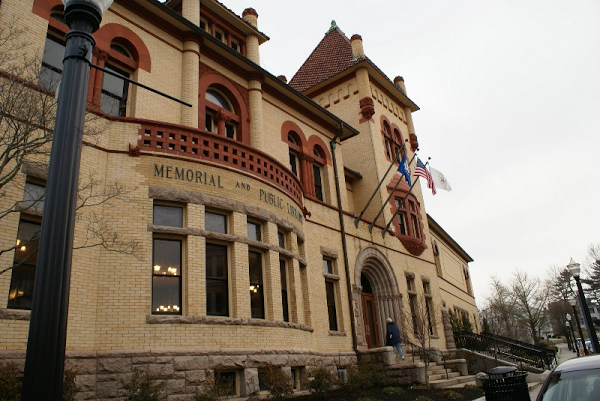 First opened in 1894, the Romanesque Westerly Library and Wilcox Park were constructed as a memorial to fallen Civil War soldiers as well as a monument of learning for the community, housing over 180,000 volumes, community meeting space, and botanical gardens for the public to enjoy. The park, originally designed by Frederick Law Olmstead, features walking paths and a koi pond, hosts arts and music events throughout the summer. There is no shortage of history to experience throughout Rhode Island, and we at Custom Built are excited to continue creating products locally that preserve our heritage. As you add to your bucket list of things to do and see around our state, visit the Rhode Island tourism website for even more ideas and helpful resources to get started on your next adventure!